I've noticed The AM/PM Tag floating around quite a lot lately and I absolutely love reading them. There's nothing better than being able to snoop around and gain a little insight into people's daily routines. Even though I wasn't tagged by anyone I've decided to join in on the fun anyway as nothing beats a good ol' tag blogpost on a Sunday morning! 1. What is your morning beauty routine? I'm definitely not a morning person so waking up is always a struggle for me. I usually cleanse my face with Burt's Bees Soap Bark and Chamomile Deep Cleansing Cream which helps reduce any redness, softens my skin and leaves a nice cooling sensation on my skin due to the hint of menthol in the product. If I have time I'll use my ESPA Balancing Herbal Spafresh Toner and then I reach for a cooling eye product, at the moment I'm using up my Embryolisse Artist Secret Radiant Eye (which I was kindly sent and it's lovely but way too expensive to justify a repurchase), before following up with my La Roche-Posay Effaclar Duo moisturiser. If I have time in the morning I might pop on a face mask, Lush make some of my favourites, but this happens pretty rarely as I'm always in a rush to get ready! 2. What's for breakfast? Cereal usually, or a piece of toast with a little bit of Philadelphia cream cheese. If I have more time I love making scrambled eggs on toast! And I always have a piece of fresh fruit too which varies every day. 3. Coffee or Tea? Honestly, neither. I like to start my day with a glass of fresh orange or apple juice. If I had to pick between the two I'd choose tea, but only fruit or green tea. I'm not a fan of normal tea or coffee! I don't really drink hot drinks at all weirdly. 4. How long does it take you to get out of the door? If I have 30 minutes to get up and get out the door I can do it but give me 2 hours and I'll find ways to fill in the time! On average to wake up, eat and get ready I like to give myself an hour so I'm not rushing too much. 5. 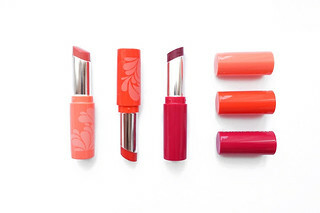 What is your go-to makeup look on a fuss-free morning? 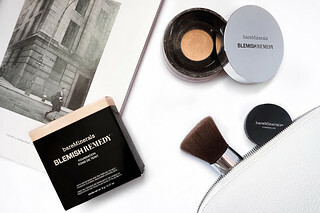 If I'm having a good skin day I'll start with bareMinerals Complexion Rescue and if not I'll use my Bourgois Healthy Mix foundation with my Real Techniques Sponge. Next is bareMinerals bareSkin Serum concealer and then I like to use Stila's Convertible Color, in either Camilla or Peony, to add a flush of colour to the cheeks and lips. 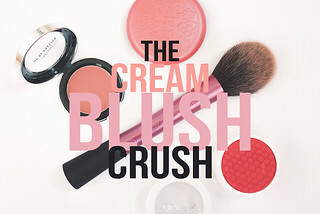 I always needs a powder to set my makeup, a new favourite of mine is Vichy's Dermablend Setting Powder, and I quickly brush throw my brows with L'Oreal's Brow Artist Plumper. For eyes, I add a wash of with a Kiko Long Lasting Eyeshadow Stick and finish up with coat of Maybelline's Lash Sensational mascara! 6. What is your evening beauty routine? I'll start by removing my makeup with Garnier's Micellar Cleansing Water then I follow up with Liz Earle's Cleanse and Polish. About 2 to 3 times a week I'll lightly exfoliate with the Superfacialist Rose Brighten and Refine scrub and then I'll spritz on my ESPA toner again. I add 4 drops of Kiehl's Midnight Recovery Concentrate and if my skin is feeling a little bit dry I'll use my Vitamin E Night Cream from The Body Shop. 7. Snack time! What's in the bowl? Most of the time it's another piece of fruit and possibly a Chocolate Digestive or an Oreo. Sometimes I have the strangest cravings though, I had such a hankering for a piece of cheese the other night! 8. 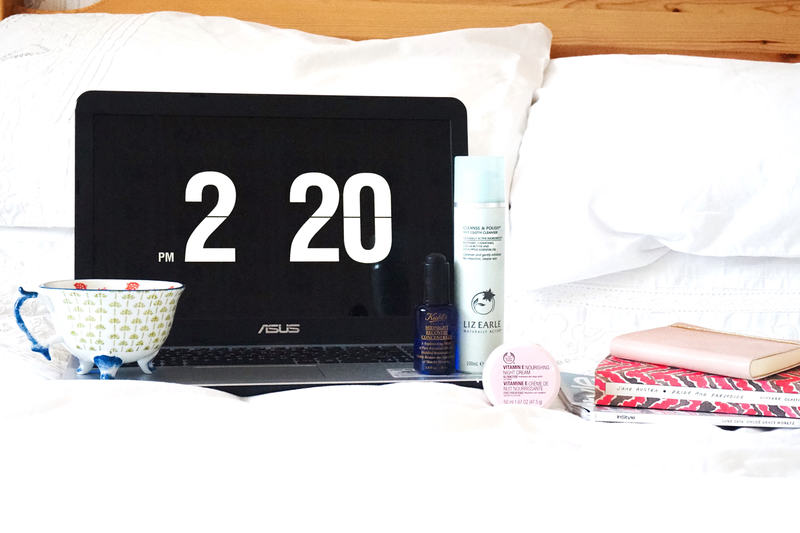 How do you wind down and prep for bed? I'm terrible at winding down and turning off my phone before bed, I'd love to be that person but my mind is always at its most active at night. I like to catch up on some YouTube videos or watch a few episodes of whatever TV programme I'm into before climbing into bed. 9. Cozy up! What are you wearing to sleep? My Victoria's Secret flannel pyjamas, they're so comfy. If it's warmer I'll usually swap the long-sleeved shirt for a loose t-shirt or a vest though. 10. What are some things you must do before hitting the hay? I always to double triple check that my alarm is set and then all I ever really need to do is apply some lip balm!